A concealed flush mount, substantial 38cm antique brass finish outer bezel and traditional domed opal glass central shade for a softer light. Perfect for the more traditional bathroom and ideal for the lower ceiling. The Barclay range is a new addition to our bathroom lighting selection. 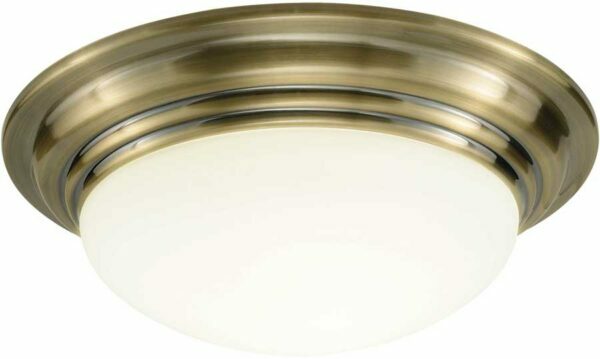 A long awaited traditional brass IP44 bathroom light. There are matching fittings in the antique brass Barclay range that can be viewed below and include a smaller flush bathroom ceiling fitting and a switched wall light.